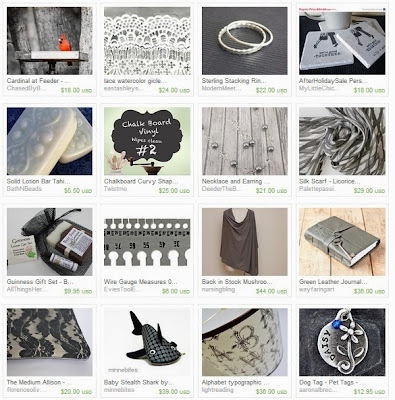 Ring in the new year with some new handmade goodies from our HandmadeMN Etsy Team. In one day, we will be upon the winter solstice. The sun will reach its maximum elevation around noon, its greatest height for this time of year in the Northern hemisphere. The amount of sunlight we observe has been gradually diminishing up to this point, with late sunrises and early sunsets. We experience cold days, often cloudy and gray, filled with a lot of WHITE. 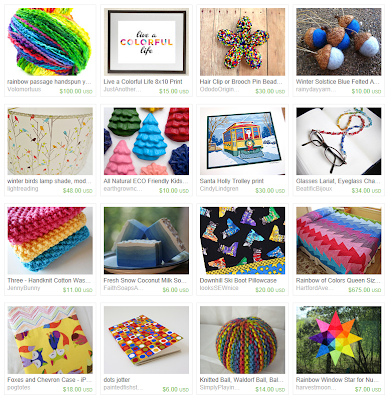 Today's Fun Friday Finds aims to brighten up your shortest day of 2013 with bold colors and happy thoughts. And remember, with the winter solstice comes great news - that we have reached the shortest day/longest night and we are over the hump. Moving on to more sunlight, earlier sunrises and later sunsets. And a lot more color! 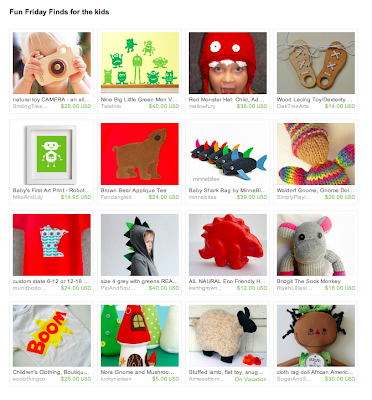 Playful and colorful gifts for kids handmade right here in Minnesota. And, whaddya know, you can shop local and handmade and online all at the same time! Fun, huh? And all you have to do to get started is click the image below. It's that time of year again. You'll be attending all those holiday parties and you don't want to go empty handed. Here is a trusty compilation of hot hostess/host gifts that will be a surefire hit. The gifts are handmade by people right here in Minnesota. 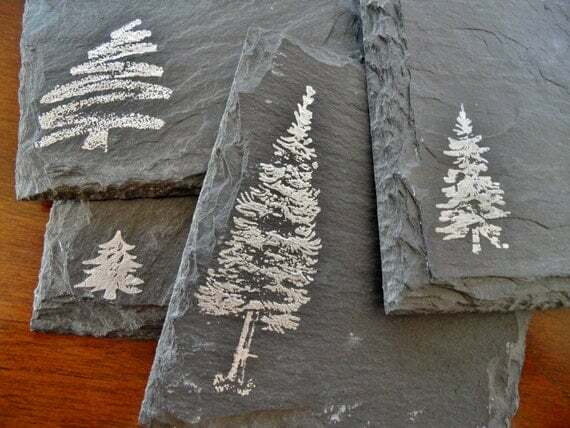 These Christmas tree coasters by Scattered Treasures will be a hit with the holiday hosts. They will appreciate that each tree is different in shape and size and that they can use them for hot chocolate, coffee or warm apple cider! You can alleviate your hostess' stress by presenting her with this Wine Bottle Coaster along with a bottle of wine. It's frustrating drip of wine runs down the wine bottle and stains the table cloth. This wine bottle coaster is made to a keep that drip from leaving the irritating ring. 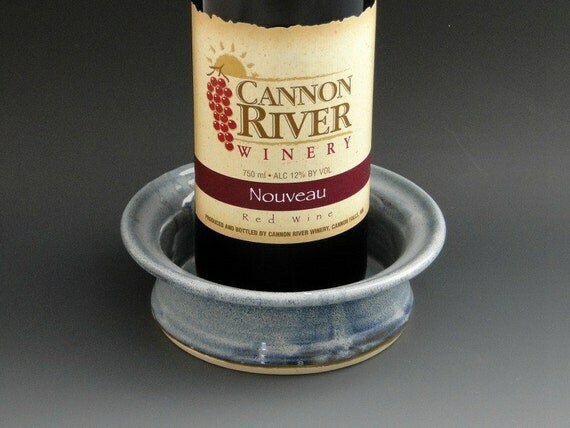 Sue Pariseau Pottery created this wine bottle coaster from stoneware clay and glazed with food safe, lead free glaze. After use, the coaster goes right into the dishwasher to clean up for the next use. 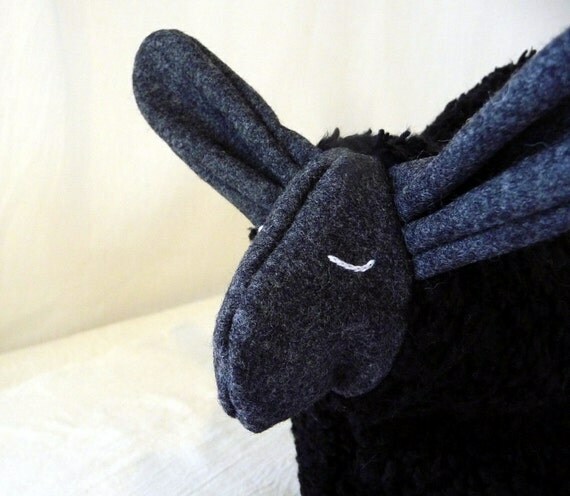 This oh-so cute black sheep by Aimees Homestead is called Cindy. If you give her a new home with your holiday party hostess, she promises to keep their tea nice and hot! She's a relaxed gal and, even though she is a black sheep, she will not eat all of the tea leaves. Cindy is the perfect gift for the tea-lover in your life. She will fit a standard (4-6 cup) teapot. She's made with a black wooly faux fur fabric, grey wool face and ears, and lined with a purple and white leaves cotton fabric; sandwiched between is a layer of wool batting to keep the tea warm. 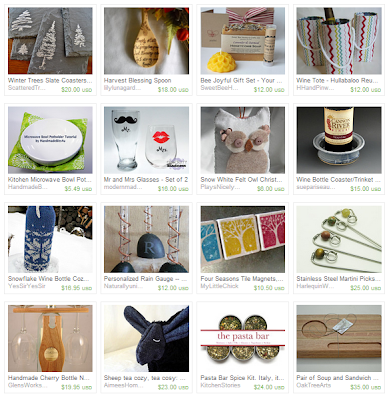 Be sure to take a gander at the other handmade hostess gifts. They are just as wonderful and won't break the bank!